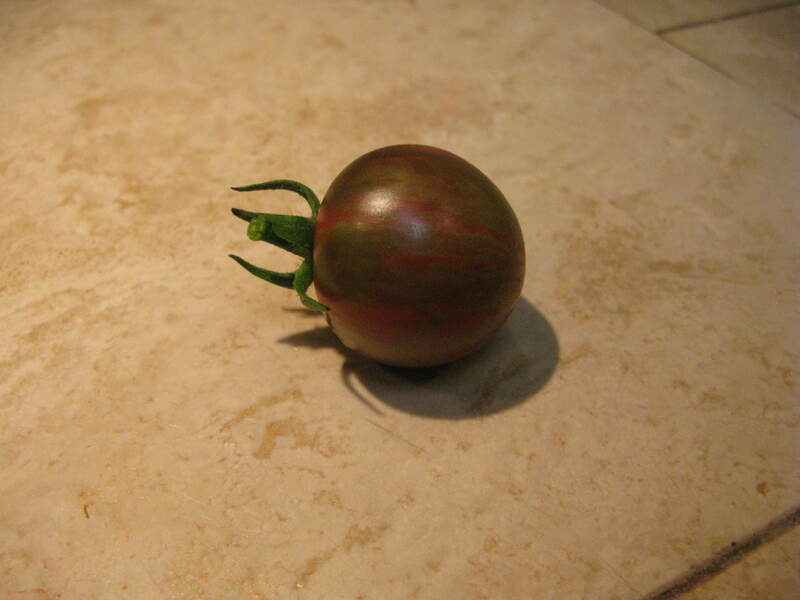 My first tomato was the very beautiful and tasty heirloom, Violet Jasper. This is my first year growing it, and from the package it is a great producer. I have gotten 8 in the last week. Those funny looking dark colored tomatoes are usually the tastiest. I’m growing a black cherry that I haven’t had the pleasure of sampling yet, but I bet it will be good. That’s great! Glad to have you aboard. There is nothing like fresh veggies from the garden.